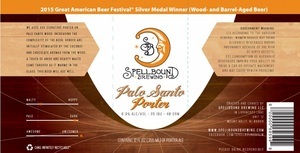 Interesting year round mocha porter aged on incense-like palo santo wood loads mildly creamed dark chocolate syrup upon Madagascar vanilla bean bittering, toasted coconut sweetness, mild espresso milking and minty anise spicing. Slight burnt wood-toned chicory undercurrent laces robust mocha finish. 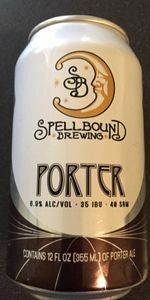 On tap at Triton – Long Beach Island, milky dark chocolate syrup rides above cocoa nibs, vanilla and walnut illusions while mild hop char provides underscored bitterness. Crisply clean mineral water flow lightens the blackened mocha finish. On tap at Shepherd & Knucklehead – Hoboken, sweet ‘n sour red cherry juicing gains tart candied banana spicing and honeyed malt sugaring to contrast musky herbal peppering and musty green grape esters. Fine flagship offering (in a can) will please avid hopheads with its oily hop bittering, resinous pine tarring and brisk juniper berry pungency. Sharp grapefruit-peeled orange rind tang brightens all the musky bitterness. Wispy pineapple, peach, mango and mandarin orange tropicalia found in deep recess.